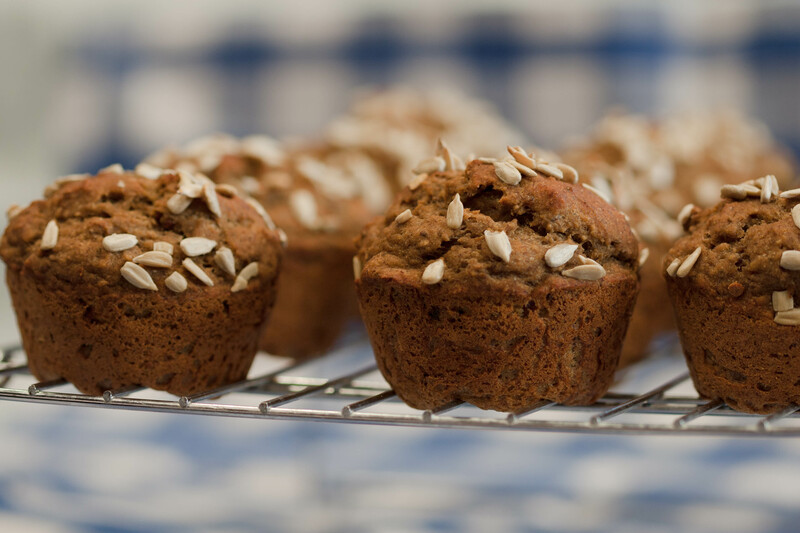 These muffins are an excellent way to use those overly ripe bananas sitting on your counter. The flavor of banana and sunflower seed butter is a delightful combination. 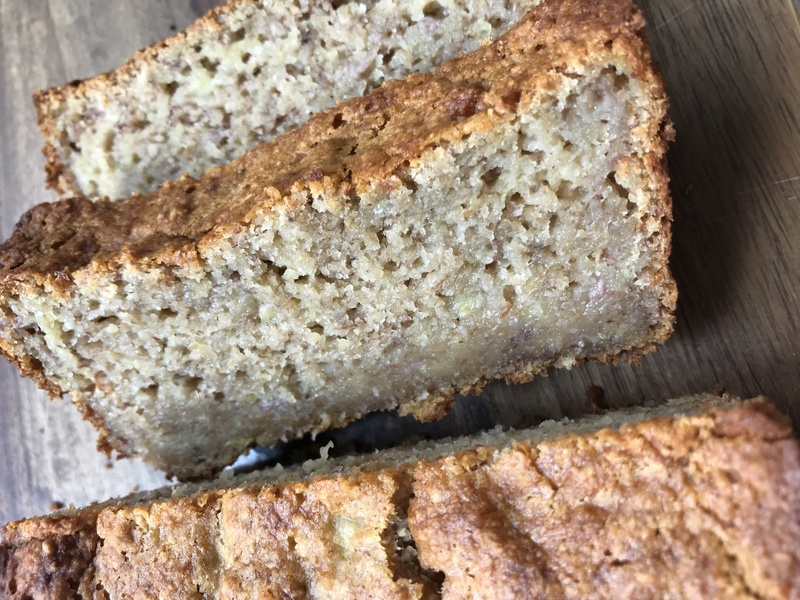 The texture is dense and very similar to banana bread (yum!). In addition to being tasty and satisfying, they are also healthy, void of gluten, dairy, eggs, oil or sugar. What’s left, you ask? Healthy and delicious whole foods, including dates as a sweetener, which are chock full of vitamins, minerals and fiber. I’ve said it many times – I. Love. Pumpkin. All things pumpkin, whether it be savory or sweet. I especially love the spices that are associated with pumpkin flavor – cinnamon, nutmeg, cloves, ginger, allspice, etc. These delicious bars have them all. 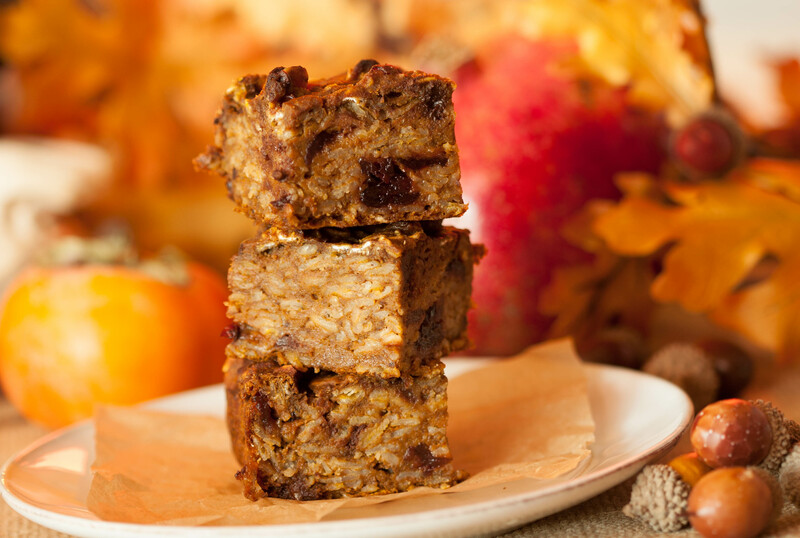 The bars are substantial and very moist (hence the name Gooey Pumpkin Bars). I only used rolled oats so no need for flour here. The only sugar in the batter is 1/3 cup and I used Sucanat which is minimally processed. 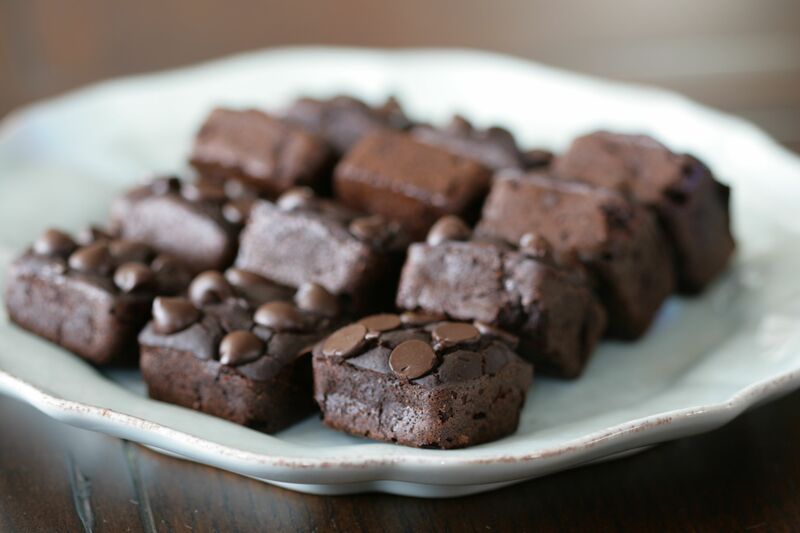 The chocolate chips add sugar, of course, and are optional (but, um, why would you leave them out?). Seriously, you may opt to leave them out if you plan on eating these for breakfast, or leave them in for more of a dessert item. For gluten-free bars be sure to use certified gluten-free oats. 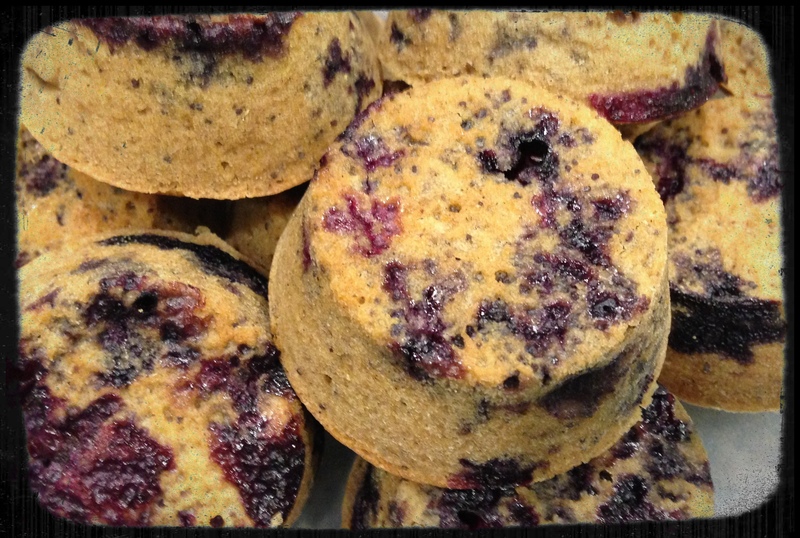 These muffins are very similar to my Sunshine Muffins, with a few small changes, and the addition of blueberries and poppy seeds – yummy. I have only used fresh blueberries in this recipe but frozen (thawed) would work too. These go VERY quickly in my house. 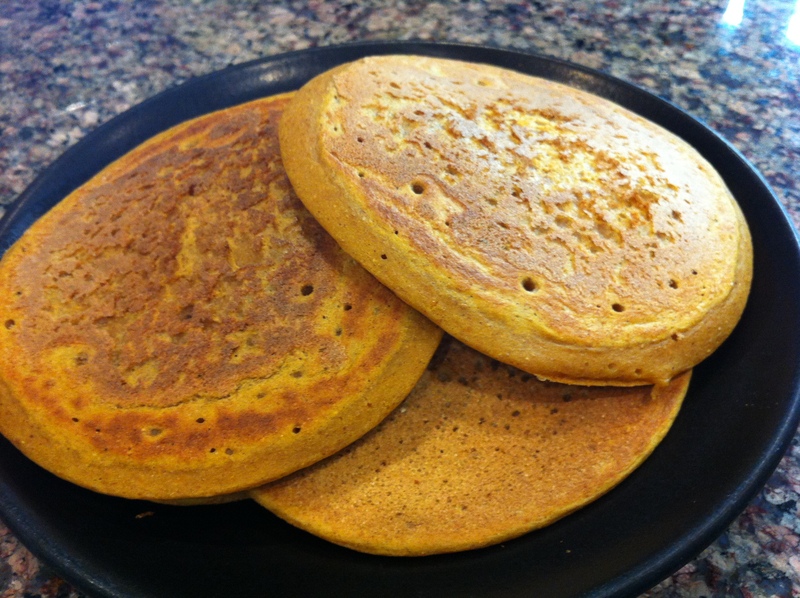 Pumpkin Pancakes – Cinnamon, Allspice, Cloves…Oh My! I know it’s not officially Autumn yet, and it’s still miserably hot outside, but I’m longing for fall, dangit!! These pancakes hit the spot, and made me look even more forward to my favorite holiday – Thanksgiving! I’ve seen several recipes for pumpkin pancakes out there but the difference between them and mine is the amount of spices; I tend to be heavy-handed in this recipe. The stronger the flavors of cinnamon, allspice, cloves, nutmeg, etc., the better! I’m tempted to crank up the AC, put on a sweater, and eat these by the fire. Make these! They’re easy and delish! Let me know how you like ’em! I have always LOVED tapioca pudding. Actually, any type of pudding – I don’t discriminate! Once I gave up health-harming dairy and animal foods however (best choice I ever made, btw), I figured tapioca pudding was a thing of the past since the traditional recipe calls for milk and eggs. WRONG! I tinkered with a few ingredients and ended up with what I feel is a great alternative. I try my best not to consume or prepare things with refined sugar, but I must confess – I did use some here, the few times I made this. Next time I will try date or coconut sugar, which aren’t refined in the highly processed way white sugar is. They may alter taste somewhat, and color, but it’s worth trying. UPDATE!!! I tried date sugar and it was an epic fail. I do NOT recommend it. I also tried Sucanat, which is dried sugar cane juice. Much better result than date sugar but not nearly as good as white sugar. It gave it a tan hue, and sort of a molasses flavor, which tastes nice but the texture ends up much thicker and not as creamy as white sugar. Next I will try raw/turbinado sugar, which I’m guessing will have the same result as Sucanat. When choosing white sugar, organic is a must! Not only is it free of pesticides, it is vegan. Why do you care about vegan sugar? Well, regular, refined white sugar requires the use of animal bone char in processing. Gross? Definitely. Due to health concerns, the FDA prohibits the use of bones from the United States’ meat industry. Further, the bones are required to come from animals that die of natural causes. While this makes theoretical sense, the ridiculous reality is bone char is predominantly imported from countries like Brazil, India, Pakistan and Nigeria and there is no warranty to the American consumer that the bone char used is indeed from ‘clean’ animals. I don’t know about you, but I like my sugar without potentially contaminated bone char! In our house, Sundays are known as “pancake Sunday!” Normally, pancakes are seen as a treat, eaten only occasionally. Since these are healthy, there’s no need for deprivation! Just go easy on the syrup, and if you must, use a tiny bit of Earth Balance instead of butter or trans-fat-filled margarine.